We’re not arguing, especially when after looking at the list of 174 ingredients in this drink supplement — all of them recognized for their health benefits. Trevo doesn’t think so, and with a 5-star rating on the Better Business Bureau, it looks like users agree. Trevo is a popular wellness network marketing company that sells vitamin-enriched health supplements. 1. 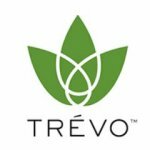 What does Trevo sell? Their flagship product is a whole-body supplement that doesn’t require any measuring or mixing. Oh, and it apparently tastes great too. But the product line is expanding. They also sell hemp oil and an energy powder for men called RP3. 2. What are Trevo’s most popular products? Their most popular product is their original product, Trevo. It contains 174 of the world’s best nutraceutical ingredients. It’s supposed to help maintain mental focus and cognition, weight, the heart and circulation, cellular health, digestion, the nerves, immunities, eyes, bones and joints, blood pressure, energy, anti-aging, blood sugar, and well-being. In other words, total wellness. 3. How much does it cost to join Trevor? To join Trevo, you’ll need to choose the “enrollment system” that’s right for you. Your options range from $150 to $960. 4. Is Trevor a scam? No, it’s a legitimate business. They’ve been given the BSCG “gold standard” certification for being drug-free. 8. How many Trevo distributors are there? Trevo hasn’t published any numbers for their distributors. Does this mean you should get involved? Either way, here’s the full review on Trevo. Trevo is basically the Chicago Bulls in 1996, except in drink form. Not gonna lie, the Stevens family, who founded Trevo, look a little plastic. I’d bet there’s more than supplement juice (i.e. botox) keeping them youthful. Holli Stevens, Director of Finance, has been nationally recognized as a top salesperson in the direct sales industry. Heard those before… from every other nutrition MLM (hint: Isagenix). That’s all good, but what does life for a distributor actually look like? Restores energy and focus and stimulates your body. Renews your body with phytonutrients. Revives you with anti-aging and immunity properties. But, really, why do they need 174 ingredients? Seems a little excessive. Well, if you take all the magical herbs and exotic plants that various MLMs use in their nutritional products and combine them into one drink, you’d have Trevo. Some supplements focus on nutraceuticals found down in the depths of the ocean, some like to tout the incredible wonders hiding in the Amazon rainforest, and some like to tell lofty stories about trekking the Himalayas for their ingredients. Trevo combines them all. Whether or not it’s really effective to just throw all the best herbs and fruits together into one miracle drink is up in the air. The FDA has not backed any of their claims, of course. However, there are some studies that look promising. They’re and Kosher, CAP-e certified, vegetarian, and they’re endorsed by Dr. Brian Wilmovsky, a pretty famous chiropractor who’s all about natural medicine. Trevo also claims the beverage is good for the health of everyone from your toddler to your great grandpa (children should be over the age of 2). For years, Trevo was the only product in this MLM. Now there are a few others. Trevo also sells RP3, which was designed for men to support libido, erectile function, testosterone levels, prostate health, energy and stamina, and mental focus and memory. Sync is a pure, full-spectrum hemp oil that comes in vanilla and orange flavors. Containing 500 mg of cannabidiol, Sync balances the mood, supports memory, joint, and muscle health, and reduces anxiety and sleep. You do have to purchase monthly minimum orders to remain active and get a commission, and the more you buy, the more commission you can access. Their compensation plan is a single line matrix compensation plan. It’s pretty unique to them, and everyone who joins Trevo after you benefits you somehow. Retail sales commission is about 20-40%, which is pretty standard. A bottle of product is $59.99, which could net you $22. You get some decent bonuses for enrolling preferred customers too. Compression is used to make sure that your commission are maximized every month, which is nice. When one of your personal recruits enrolls a new “Life and Health Coach” (distributor), you get 20% of their enrollment purchase in the form of a matching bonus. You also get bonuses for selling bulk packs and moving up in rank, and of course, group volume commission. The compensation plan is not bad. It’s not great either. It’s pretty middle of the road as far as nutritional MLMs go, but they’ve got some decent bonuses that might tip it in favor of the distributor. The product idea is pretty catchy, to be honest. It’s pretty hard to compete in this niche because everyone and their mother is pushing nutritional products from MLMs that contain the latest miracle fruit and super vegetable. Trevo really goes head to head with the competition, one-upping them all by including every nutrient-dense ingredient they could find. But as with so many other MLMs, the money is top-heavy. Even if the company is sitting pretty, only the top 1% of reps are seeing that wealth, if that.